The Speak Up! 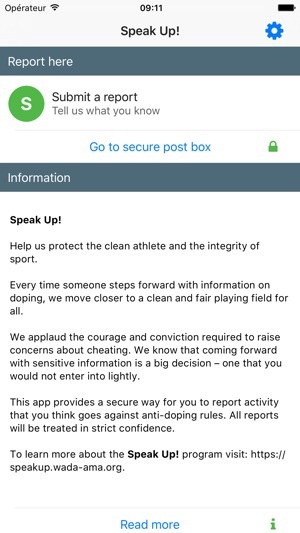 app offers a secure and confidential way to report doping violations in sport. 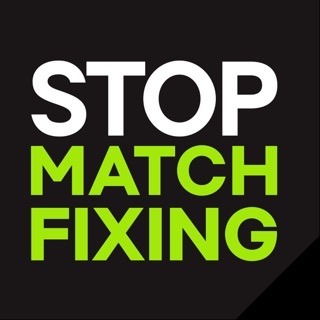 It is managed by the Intelligence and Investigations Team at the World Anti-Doping Agency (WADA). 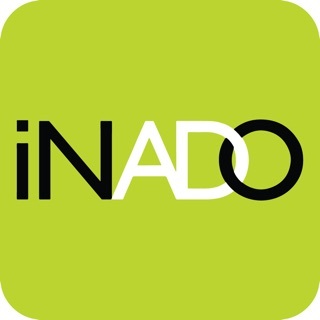 This team operates independently within WADA to ensure confidentiality. 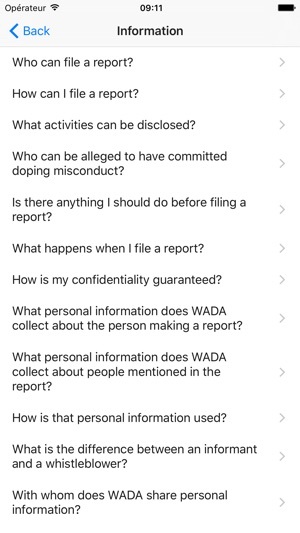 You may report any alleged Anti-Doping Rule Violation, any alleged World Anti-Doping Code (Code) non-compliance violation, or any act or omission that could undermine the fight against doping. 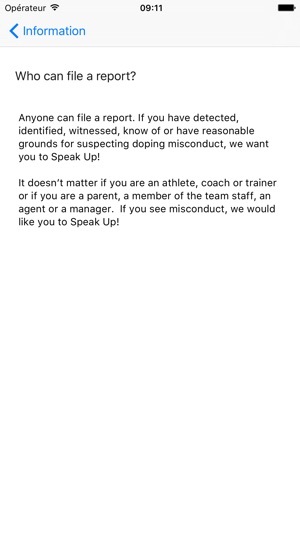 Anyone can report a doping misconduct. 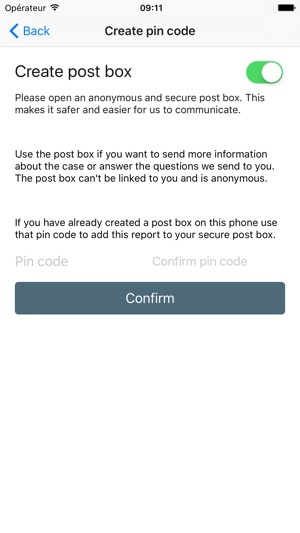 If you have detected, identified, witnessed or know of, or have reasonable grounds for suspecting that cheating has occurred, we encourage you to let us know by opening a mailbox, or providing us with your contact information. - You can now scroll in the textview in case view. 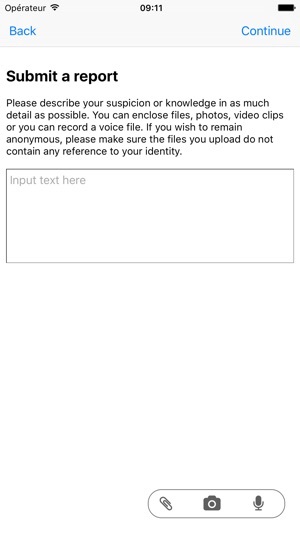 - Enabling of hyperlink in the app. - Added some new language for to the app.